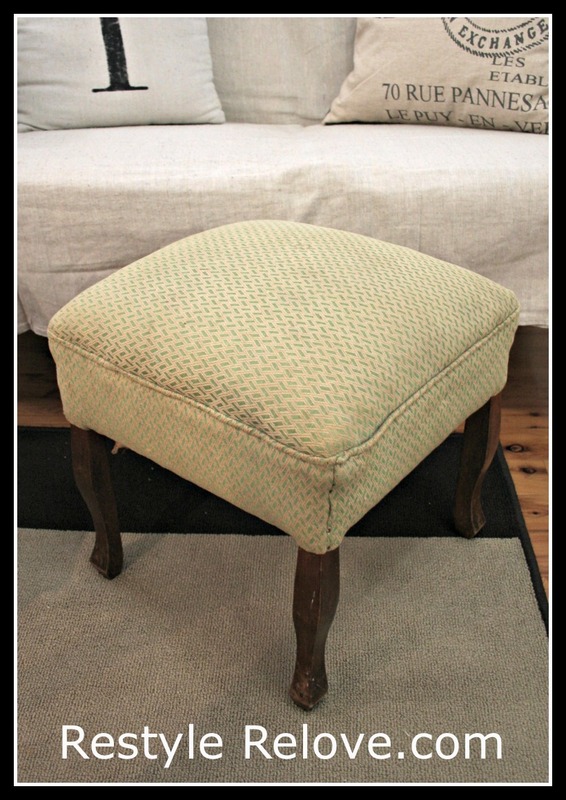 This cute little vintage Queen Anne style foot stool was a garage sale purchase a few weeks ago. 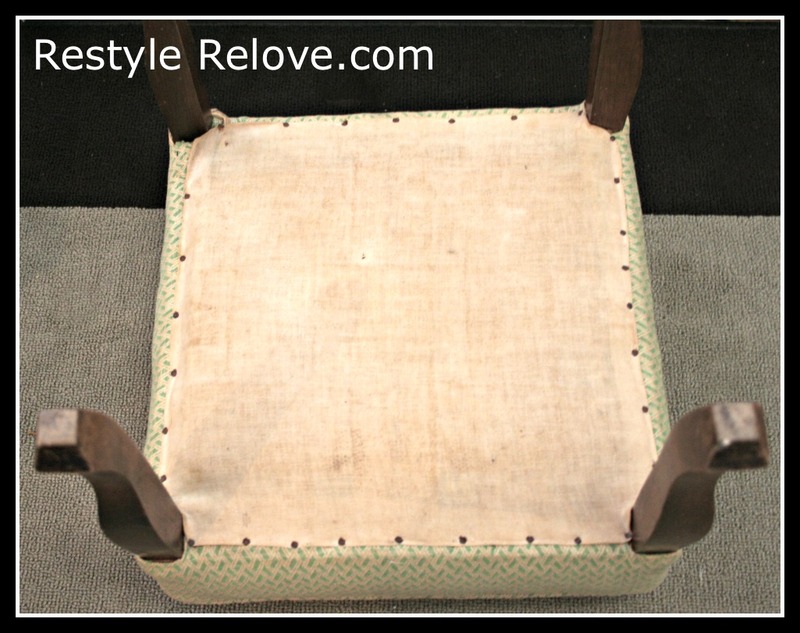 Her fabric was showing its age, so I decided to recover it, the lazy way. 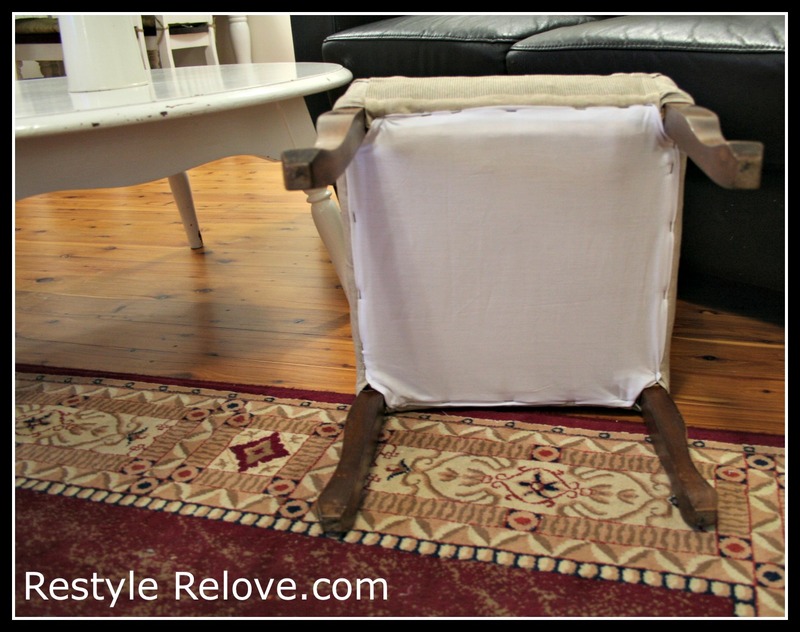 By applying the new fabric straight over the old fabric. I love this method as you don't have to reshape any of the filling or fiddle around with removing nails and tacks and staples. And who is going to see underneath anyway. But I only do it if the fabric is in reasonable condition and doesn't smell. After all, nice new fabric that smells disgusting isn't very appealing. I had 2 French graphic tea towels I had bought at Target and had been saving as they were just the right size for cushions covers. I hadn't got around to the cushion covers, luckily. They were perfect for recovering my footstool. One fit over the top and down 2 of the sides exactly. I had to cut 2 strips off the second one and do a bit of neat "filling in" on the other sides. But nonetheless, I'm still very happy with the outcome. Then I attached a crisp piece of white cotton to cover the base. so cute! i love the new look- much better and up to date! Hi Julia! 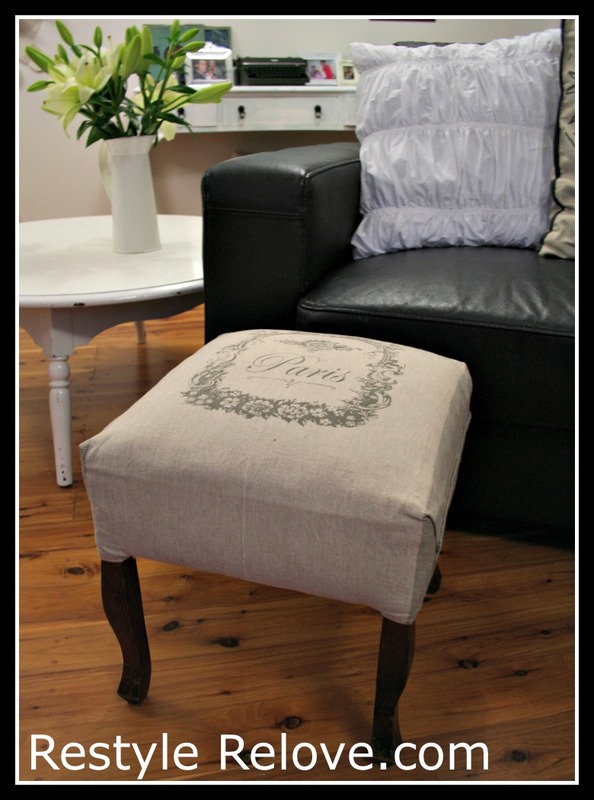 Love love love your footstool! You found the towels at Target? Wow. You did a great job covering. The underneath looks so neat too! The French Hen's are now joining you. Hope you will consider joining us. Looks fabulous!! Thanks for sharing at Knick of Time Tuesday - I'll be featuring you at the party next week and there will be an "I Was Featured" button waiting there for you! 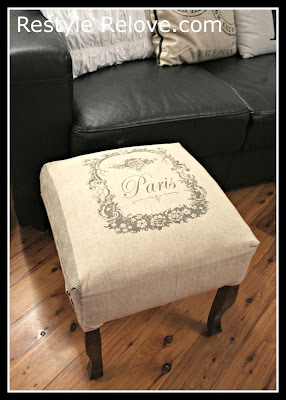 Great footstool I love the graphic. Happy Thanksgiving. What a lovely blog! 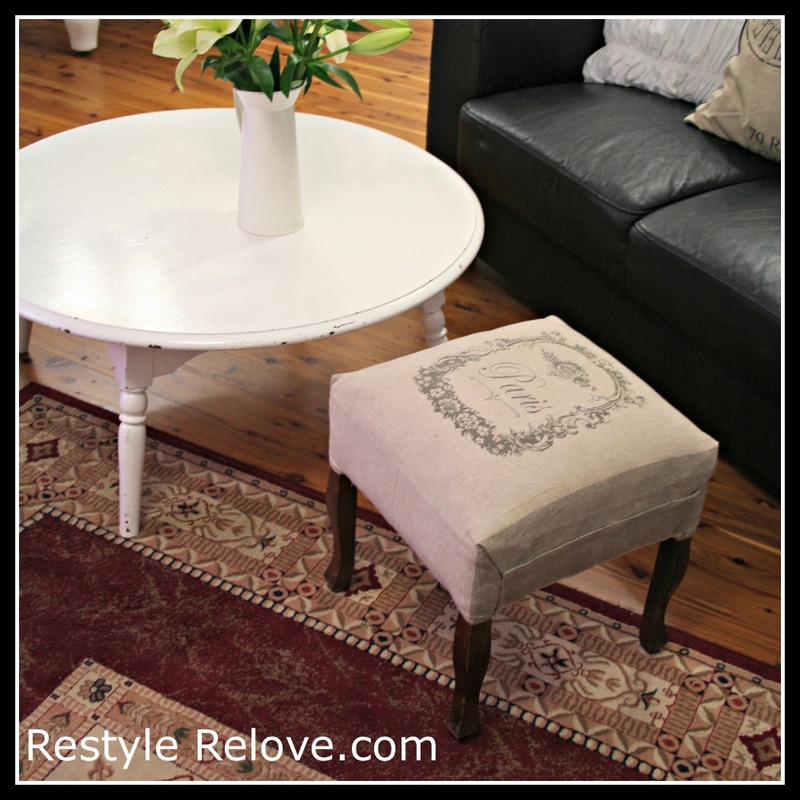 Love the footstool transformation! I'm following you now, too! 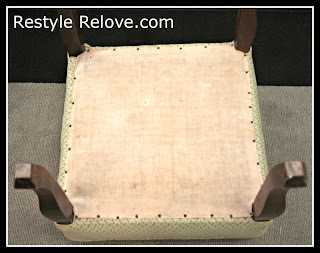 This is absolutely lovely and I think you are genial for using some tea towels and make this GORGEOUS footstool in a fraction of the time that it would to upholster it. hail hail.